Okay, I love to eat in my room. I know, I know it's not good to eat in the room, but it's just so cozy to do so sometimes! 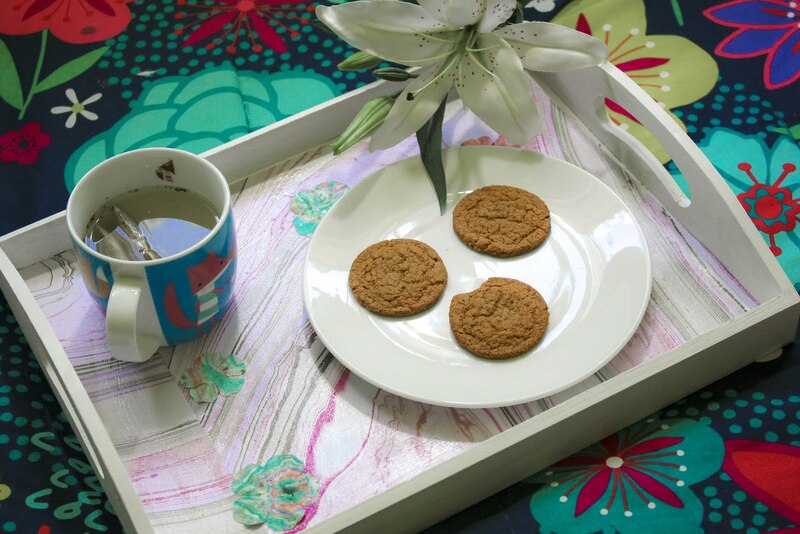 At least if I am eating in my room I use my awesome DIY serving tray! 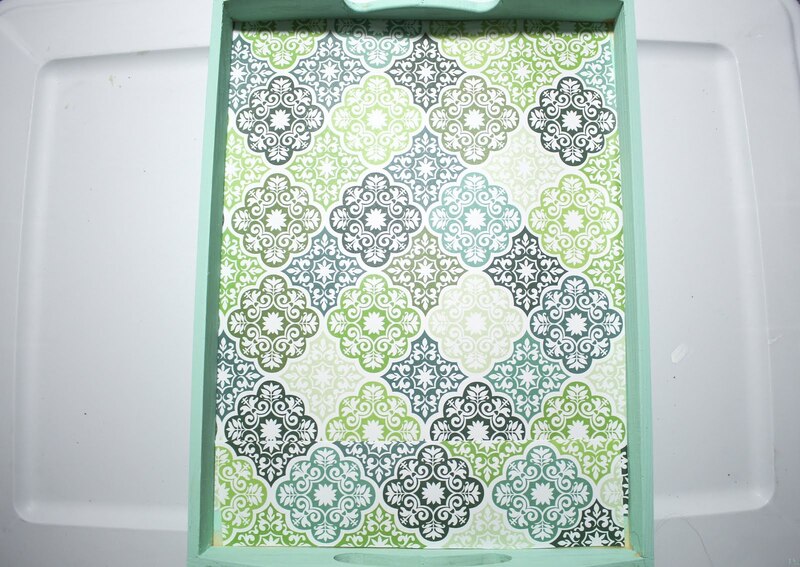 I actually made my first one when I came home for Thanksgiving freshman year at MCAD and it has just been so handy! If I am sick, I can just stay and bed and eat my meal without having to expend too much energy. It helps keep my room clean too! 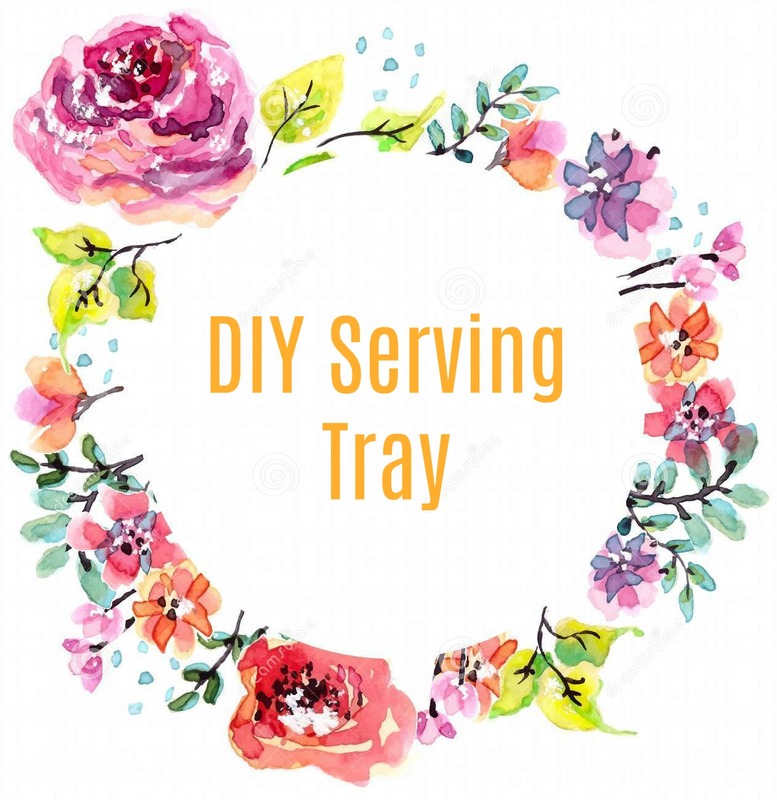 With so many advantages, you should make a DIY serving tray as well! 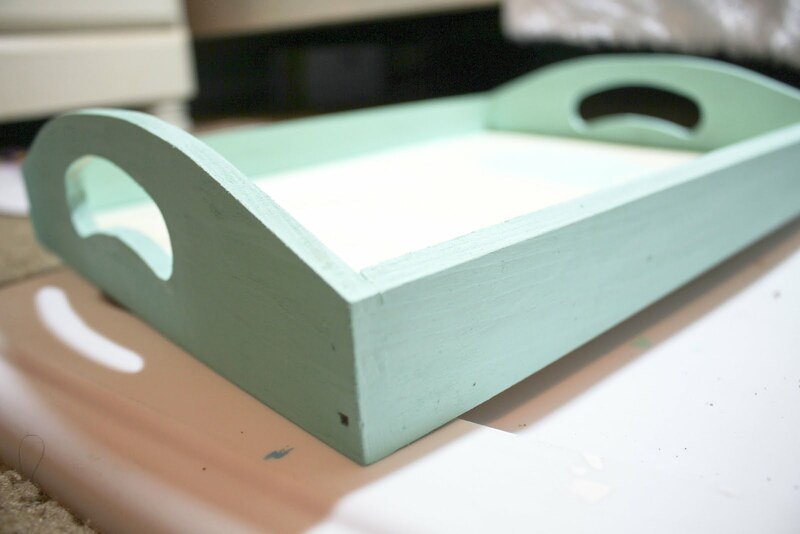 Start off by painting your tray what ever color you want. Don't worry about painting the bottom, this will be covered by paper. 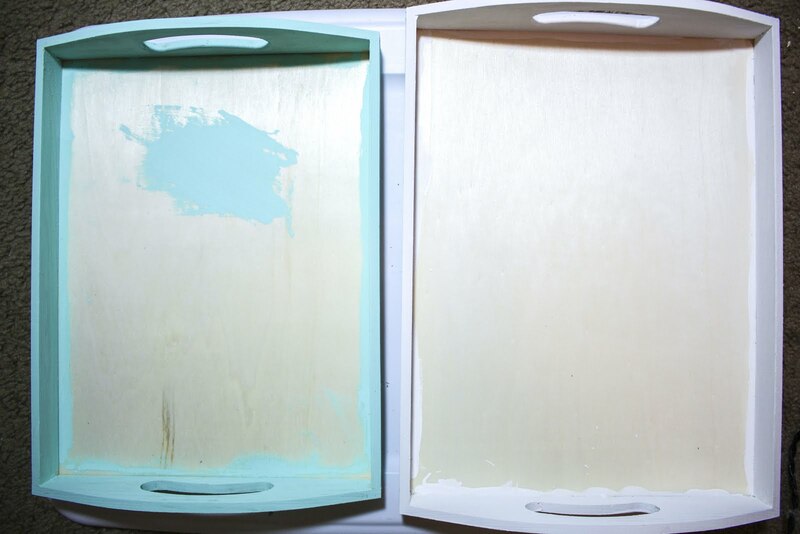 After your tray has been painted and is finished drying, take your scrapbook paper and measure out the amount you need to cover the bottom of the tray. This generally takes about 2 pieces of paper for me. 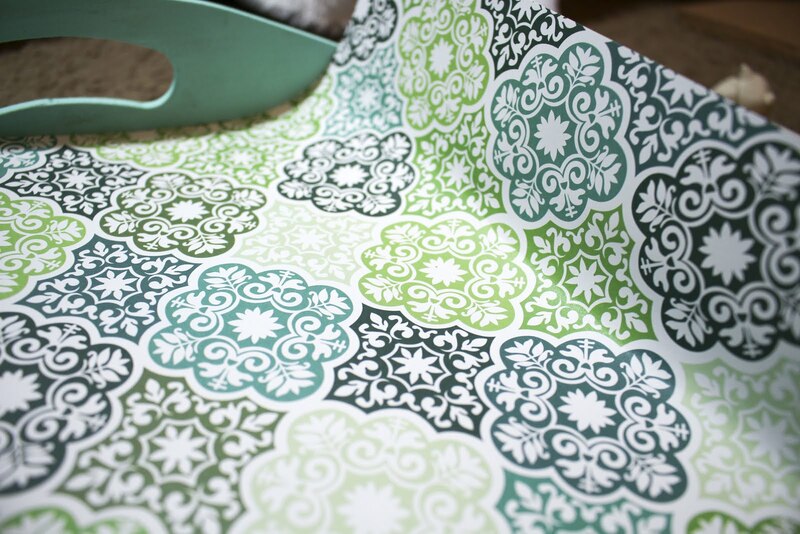 Cut your paper out once you have the dimensions. 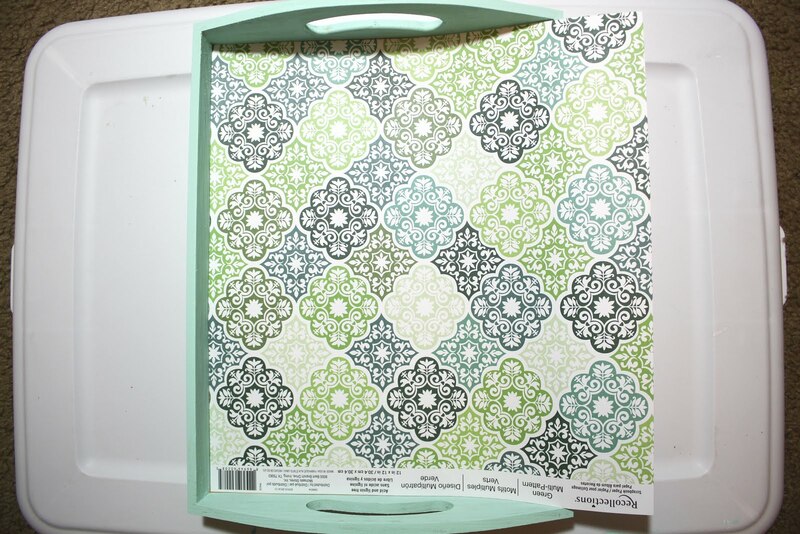 Then, take your mod podge and paste the scrap book paper to the bottom of the tray. 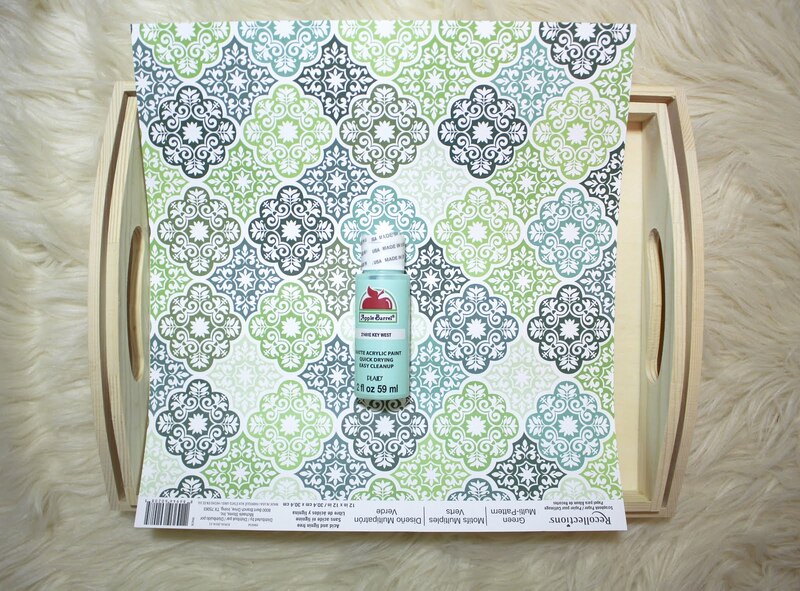 Also give a generous coating of mod podge to the top of the paper as well. 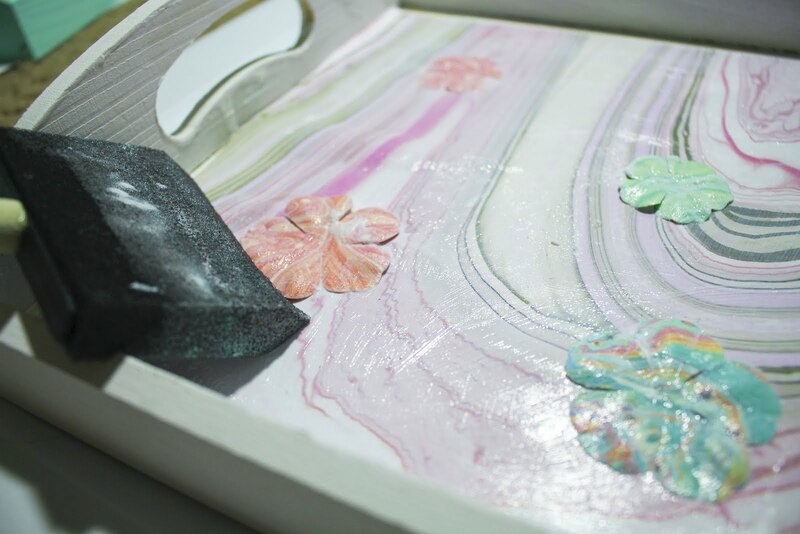 While you're doing this, if you want to add flowers this is the time to put them down and cover them with mod podge so that they will stay. 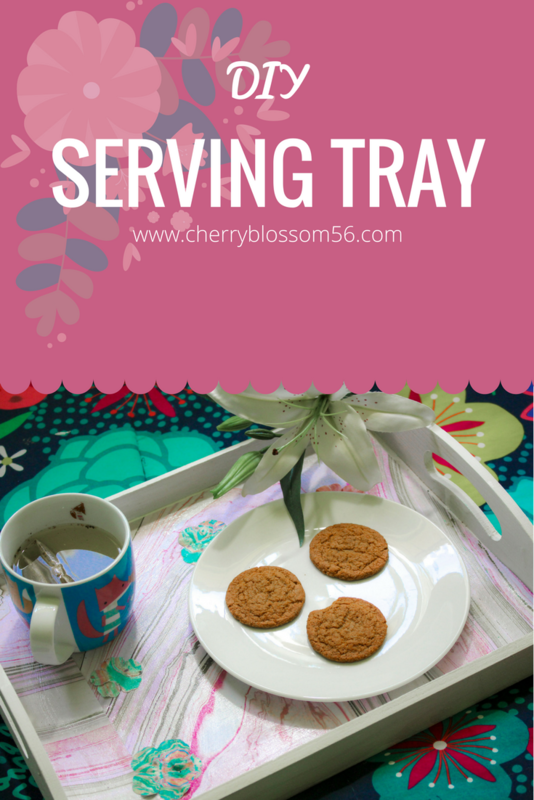 Once everything is dry, you're good to begin using your tray! Pretty simple right! Happy midnight snacking in bed y'all!